" We live a culture where you show your best and hide the rest. " Pray with others, share your joy, get emotional support, and advance your spiritual growth. 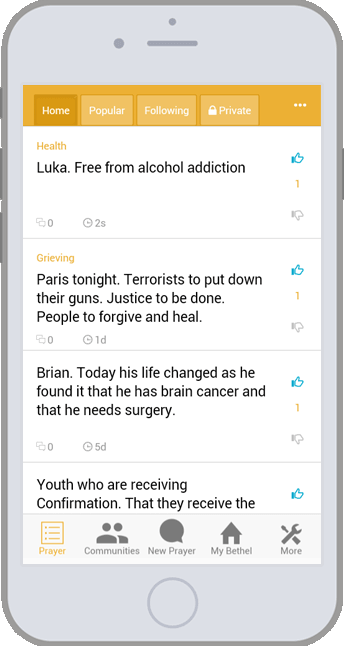 Post prayers in one of our public communities and follow communities with prayer contents most relevant to you.